The ACE Pre-Teen/Teen Summer Cooking and Baking Program includes 5 in-class sessions. A skull cap and apron will be provided to students. A Certificate of Completion is awarded to those who complete all 5-day segment requirements and pass the final project. Lecture and Demonstrations will be followed by hands-on practical application in a professionally equipped kitchen. Students will then prepare, cook, and plate an array of savory and sweet recipes. At the conclusion of each day, prepared dishes/baked goods will be available for tasting. Thanks to our small class size, students receive personal attention and guidance. Professional Chefs and former graduates may come as guest instructors and do a special demonstration in the class. We reserve the right to change class order, topic, recipes/techniques, due to unforeseen circumstances such as unavailability of ingredient(s), guest instructor/speaker cancellation or other emergencies. Learning the art of culinary is a skill that will benefit students for a lifetime. This 5 day in-class Beginners Cooking Program is designed for teens who have a passion for cooking. Students will learn essential kitchen skills, develop culinary techniques, and understand the fundamentals of cooking. In this hands-on cooking experience, we will cover culinary terms, knife skills, mise en place, stocks and sauces, egg cookery, making pasta and pizza from scratch, the importance of safety and sanitation in the kitchen and more. Upon completion of the series, students will leave with a new sense of culinary confidence and creativity. Prerequisite: Beginners Cooking Program or Proficiency in Basic Cooking. In this 5 day in-class Intermediate Cooking Program, students will review and practice essential kitchen skills and techniques. 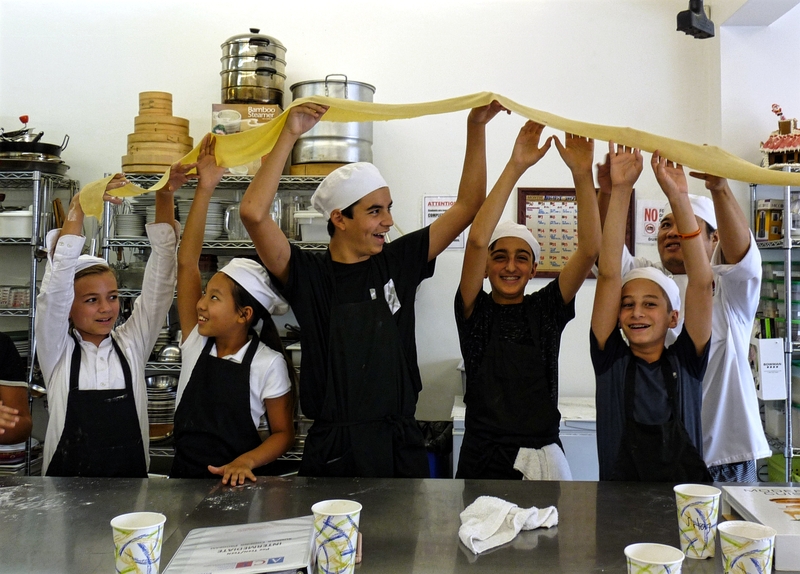 They will learn Classic and Creative Cooking methods and master the Fundamentals of Cooking. This class will broaden their culinary knowledge and take their skills to the next level. Upon completion of the series, students will leave with enriched culinary confidence and creativity. Prerequisite: Intermediate Cooking Program or Proficiency in Intermediate Cooking and Baking. A complete school uniform (monogramed chef coat, chef pants, skull cap, and apron) will be provided.